School Management is an area for CEO account's only that manage multiple schools. 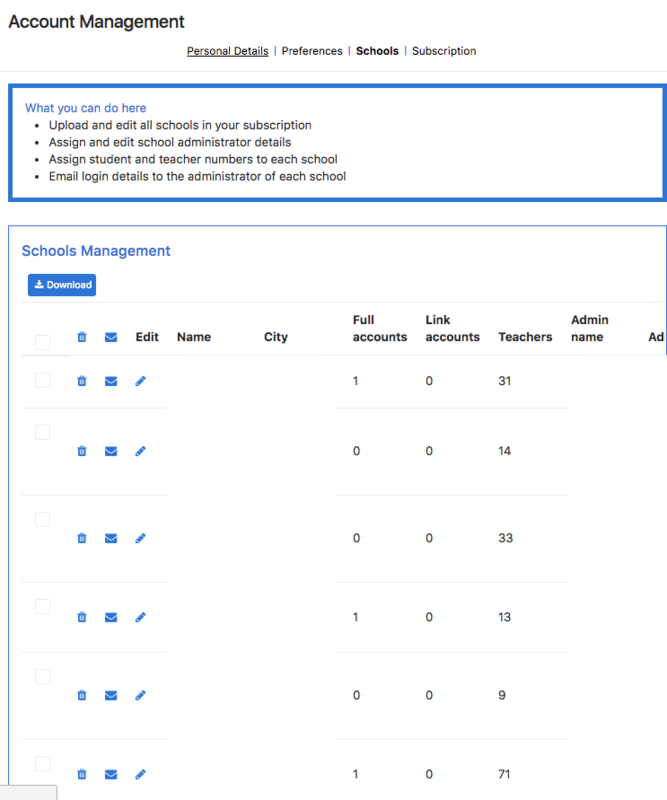 In School Management, you will be able to Upload and edit all your schools in your subscription, Assign and edit school administrator details, Assign student and teacher numbers and Email login details to the administrator of each school. You will then see your School Management screen. To upload your list of Schools, goto the Importing Schools section and Download the example spreadsheet. Fill out the spreadsheet with the schools you wish to add. The fields include Institution Name, the city, Admin's first name, Admin's last name, Admin's email address, Number of Full Access Students, Number of Link Only students and Number of teachers. You must assign a preferred admin for each school. The Schools Management screen will then give you an overview of each added school. To download the list of added Schools, click Download. To Delete a school from your schools, click the trash can icon. 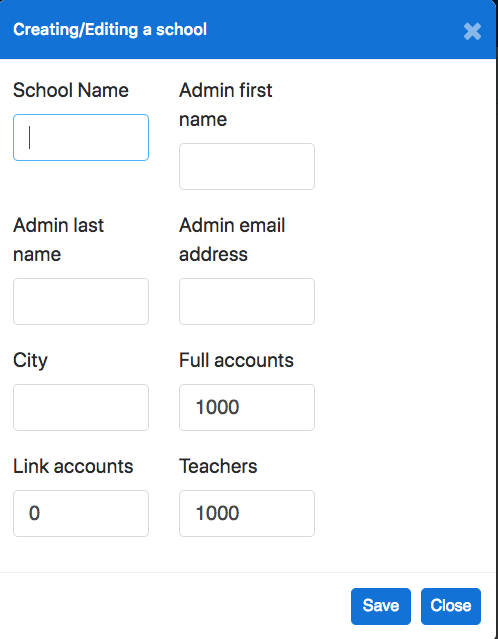 To send login details to a school admin, click the mail icon. To edit a School, click on the pencil icon.